When can I come in to see a judge? Can you tell me what date and time I am supposed to be in court? How much do I owe on my cases? Can a relative appear in court on my behalf? I have a court date today but I can't make it. Can I reschedule? I missed my court date -- how do I reschedule it? I have an outstanding warrant in Milwaukee Municipal Court. Will I be arrested if I appear for court? Do I have to pay what I owe all at once? My driver's license is suspended. How do I get it back? I need more time to pay my fine. What should I do? What is the minimum payment I have to make in order to have my due date extended? You can make a request to reopen your case for up to 6 months after your judgment date and the judge will decide whether to grant your request. To make a request, you can appear as a walk-in by checking in for court Monday - Friday between 8:00 am - 11:00 am or 1:00 pm - 3:30 pm (3:00 pm on Fridays). Please be sure to arrive at least 15 minutes before the check-in deadline to ensure you are scheduled for that court session. If the judge grants your request, there is a $20 fee to reopen the case. You may walk in Monday through Friday between 8:00 am - 11:00 or 1:00 pm - 3:30 pm (3:00 pm on Fridays). Please be sure to arrive at least 15 minutes before the check-in deadline to ensure you can be scheduled for that court session. Your next court date and time is available on the Court's website at query.municourt.milwaukee.gov. 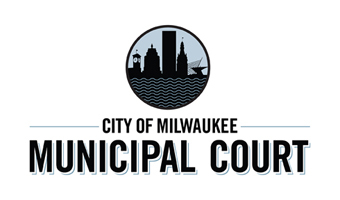 You can find the current balance due on your cases and make payments (with no additional convenience or service fee) at query.municourt.milwaukee.gov. In general, a relative may only appear if they have your power of attorney. If a relative without your power of attorney appears, the judge may inform the relative that you, as the defendant, are required to appear in court. You may have an attorney represent you in court. If a relative will be representing you as your attorney, the relative will need to have your power of attorney. No. You must reschedule your court date in advance so that the request is received by the Court at least five (5) business days (or ten (10) business days if it is a trial) before the scheduled court date. You may submit your request online (at query.municourt.milwaukee.gov), in writing (via FAX, email or U.S. mail) or in person. If your request is not received at least five (5) business days in advance (or ten (10) business days if it is a trial) and you do not appear in court as scheduled, the judge may enter a default judgment against you. You may make a request to reopen the case, which can be done by appearing on a walk-in basis. You can not reschedule a missed court date. You may, however, appear as a walk-in to make a motion to reopen the case. You will not be arrested if you make arrangements with the judge to satisfy your cases. To do this, you may need to make a full or partial payment or get an extension on the payment due date. For more information regarding outstanding warrants please vist our Warrants page. No. The Court offers payment (installment) plans that will allow you to pay what you owe in smaller increments until the total balance is paid in full. When being set up on an installment plan, you must provide information about your financial resources and the amount you are able to pay each month. Upon approval of your application, you will receive installment coupons and instructions as to how to make your monthly payments. If your driver's license is suspended for failure to pay a judgment at the Milwaukee Municipal Court, you may be able to make payment arrangements in order to have the license suspensions lifted. The Court requires a payment of 30% of the balance due on the case before granting you an additional time to pay the rest. You may also make a motion to reopen your case in order to vacate the judgment and / or the license suspension. If your motion is granted, a $20 fee will be required to reopen the case. For more information regarding driver license suspensions please visit our Driver License Suspension page. If your due date has not yet passed, you may request more time to pay. You can receive an initial extension without having to appear in court or having to make any payment. If you need to make another request, you will then need to make a minimum payment of $20 or see the judge. If your due date has already passed, you will need to see the judge. In general, the Court requires a payment of 30% of the balance due on the case before granting any additional time to pay the rest. You can be granted an initial extension without having to make a payment. Subsequent extensions will require a minimum payment of $20 on the case.